In which speech did Margaret Thatcher say this? Okay, you soon spotted the deceit. Margaret Thatcher never did say that or anything like it. 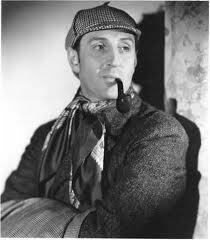 The speech was uttered by Basil Rathbone at the end of the Universal movie ‘Sherlock Holmes Faces Death’. No doubt many have heard the speech and dismissed it as no more than cheap Hollywood tripe. The stirring music certainly makes it sound corny. 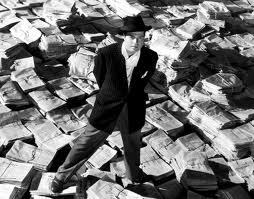 The movie, though, was made in 1943 which is why the speech is significant. It captured well and accurately the mood that was emerging from the experience of a World War. Around the same time that the old movie was beginning to appear on TV, the cinemas in Britain were showing ‘The Innocents’, the film version of ‘The Turn Of The Screw’, the classic novel by Henry James. The movie was a sophisticated entertainment and it was impossible to watch it back then and not be conscious of the patriarchal civilisation that inspired the movie and had welcomed Henry James and Joseph Conrad. There is a long standing cliché about the underbelly of the American and British left. Americans of all political persuasions are patriotic and believe America is the ‘promised land’ and the British, even on the left and sometimes more so, are snobs who think that Britain represents a superior civilisation. The post war consensus that supported social democracy in Britain is referred to as Butskellism. Prior to Thatcher, both political parties believed the state and its elite had responsibilities to its citizens that included food in the belly, a warm bed and freedom to be different. This consensus required not only post-war ambition and purpose but also a sense of decency, responsibility and patriarchal largesse. We should not romanticise the past but between 1945 and 1973 there was little faith in neoliberal ideology. For various reasons, social democracy did not unite Britain like it did other European countries. Sweden has its own unique history and, if we exclude it from the comparisons, we realise that the countries that have been most successful at sustaining social democracy are those that were conquered or beaten in the Second World War. They also had to avoid the Russians, of course. In Britain, our version of social democracy created tensions and the sympathy for the working man soon became, as Joseph Cotton had famously predicted in the classic Orson Welles movie, ‘Citizen Kane’, resentment of organised labour. Many yearned for the past and those that did voted for Thatcher. This time her appearance has been quite brief and is of less consequence. 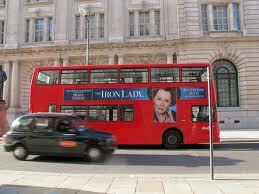 The movie, ‘The Iron Lady’ is, despite the performance by Meryl Streep, no more than tenth rate ‘King Lear’. The film reveals how dementia and old age has confused Thatcher but the Iron Lady was always more blunt instinct and prejudice than reason. She thought that a national ecnonomy could be managed like a shopping bill and argued that the Government could control inflation by restricting the supply of money, even though it only partially created that supply. Thatcher did not need dementia to leave her looking addled. In her prime, she may have intimidated the left but there were few who thought her intellectually superior. 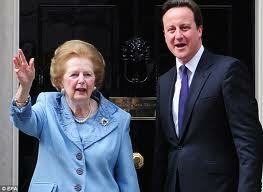 The beguiled voted for Thatcher thinking she would make British industry competitive. This was what she promised. As today, the pain was supposed to be worthwhile. Instead, British industry perished and Britain now survives on financial services and debt – public and private. The manufacturing that remains is still as uncompetitive as before. Productivity increases have shrunk since social democracy was dismantled. But all this only describes the grievance of the Northern working class. In the eighties, I was obliged to visit the industrial estates in and around Merseyside and observe the For Sale signs multiply and scar the region. Although the pig headed persecution of ordinary people is the greatest of her crimes, the tragedy of Thatcher, or what followed her, is greater again. 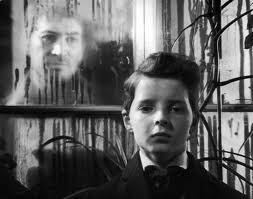 I think of myself watching ‘The Innocents’. I was a teenager on a council estate outside Liverpool. It was not called a sink estate because then our estates were something different. The fathers had jobs and their children were better educated than their parents and all received free health care. Young Britons could watch ‘The Innocents’ and respond to its subtle messages about self-control and civilisation, feel as if they were being invited by their superiors to share their doubts and inadequacies. Eventually, neo-liberalism arrived and everything was supposed to be resolved by the decision making of the market. We soon understood it was a fancy name for survival of the fittest. Once that became the creed, there was no civilisation to inspire pride in anyone. Cheers have been replaced by jeers. Today, Thatcher looks less important to neo-liberalism than the sixties that preceded it. In that decade, the British too often confused mature restaint with repression. The sixties did represent progress for previous casualties but neoliberalism would not have been possible without the self indulgence that many assumed to be freedom. Neoliberalism gave what the worst of my generation wanted most of all. It sanctioned their appetites. All of which leads to the ultimate irony in Thatcher. She would have hated modern Britain, its non-judgemental attitudes and devotion to gluttony. Others have made the same point about Elvis, that he facilitated a generation whose behaviour shocked him. There are more comparisons between Thatcher and Elvis to tempt us. The argument about whether Elvis invented rock and roll is similar to the debate about Thatcher. Was she no more than a mouthpiece and was it really sixties libertarianism and the receding memory of war that undermined social democracy? But, the lady and her memory are wearisome. I was obliged to write this Challenge because that is the nature of these Challenges but, of all of them, this is the one I resent the most. Elvis had his faults but comparing Thatcher to him really sticks in my throat. She offends not just the normal loyalty to class and birthplace but also any sense of what once made Britain half decent. The advert will soon disappear from the the buses. Soon is not soon enough. Yet another incisive piece, which rekindled the passionate objection I had to everything that this woman promulgated. I’m beginning to get a better understanding of the North/South divide. Great work. The most heartfelt challenge to date, there are few individuals who divide people quite like Thatcher – and like the people who passionately dismiss Elvis, I will never understand the idiots who defend this monster. Thanks for such an interesting take on a slice of political history.